Launok - I am in the same boat as you, I can't buy anything. I can only afford "Free". I was fortunate to win honorable mentions in the challenges so I could buy a few of Horo and David's products when they were on sale. I also fortunate to test some of their products, so I have those to play with. Regarding the screenshot, I posted for Finn, the material is from the Preset, you should have it because it comes with Pro 7, Regarding the footprints, that was a lucky accident, I lowered the foreground terrain and saw the footprints, The material is as the the screenshot. I only modified the frequency. Finn- nice renders, I like floating islands. Atlantis – nice to see your renders again, the gloomy atmosphere fits the title. 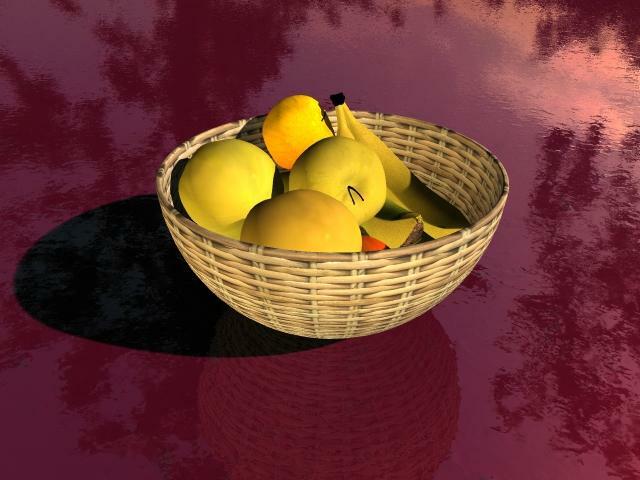 A still -A Fruit Bowl - I used the Front Yard Hdri for lighting. mermaid010, apparently you have an additional light source at the left (Radial Light?) with the disconnected shadows. I think, it is necessary to reduce its brightness. In material of apples it is necessary to add Specularity. Slepalex - thanks for the suggestions. 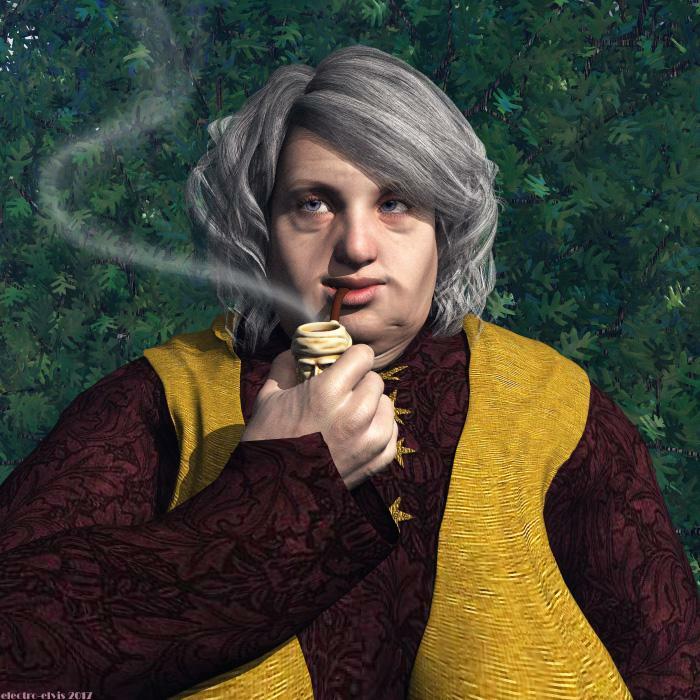 Yesterday I downloaded free DAZ3D content. As a kind of saying Thanks a immediatly made a picture with Morphable Meerschaum. I have to admit the smoke is added in Photoshop. launok - nice winter scene. The snowflakes are round, you may want to work on them. Finn - nice idea with the floating house and the trees in a cube. Atlantis - good to see you back. Your render really conveys the horrible things that happend there. It gives me the creeps just looking at it. Mermaid - nice fruits in the basket. I agree with Slepalex about the additional light source. When you us an HDRI with a prominent light source, either disable the sun or put it at the same place like the sun in the HDRI. I find the apple could do with a bit of specularity, the banana is fine the way it is. Finn: Love those surreal renders, specifically the second one! Atlantis: Bleak atmosphere, but great render. mermaid010: Those that have more expertise have given you good advice. It is already good, but will get better. About snow (topic from previous page). 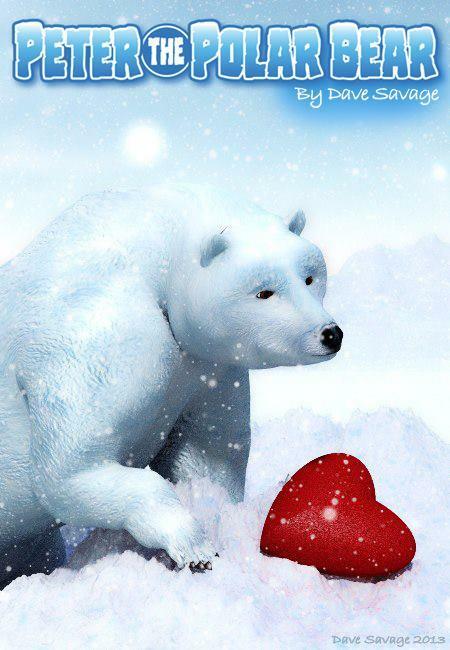 I get to do lots of snow pictures for my Peter The Polar Bear merchandise. In the Pro Materials, there is a Volumetric snow material that gives a great falling snow effect. Horo - thank you for pointing out the snow fall in my render. If it wasn't for your comment and the one by Dave Savage regards the falling snow mat he uses, I wouldn't have realised there is a new set of materials for Bryce in my product library. Goodness, how long ago has it been released and I only pick it up now!? I better check my account frequently! 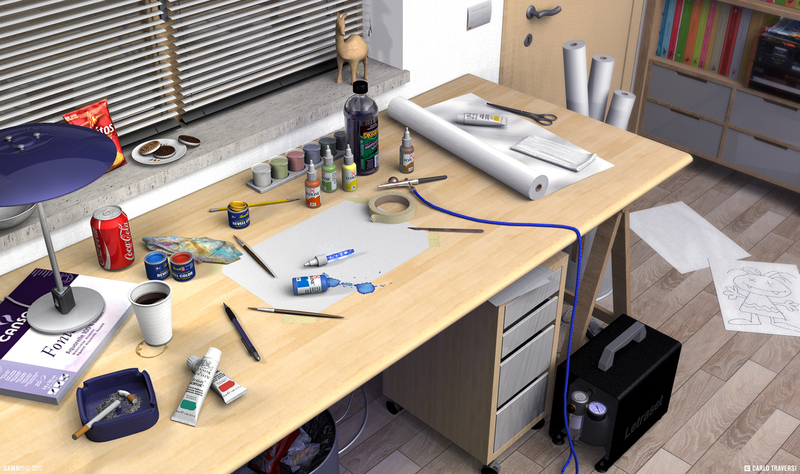 I have just downloaded and installed the Bryce Pro 7 materials. What an absolutely great surprise to see there are so many, including furs and rain! I have searched for a tut making rain in Bryce, but not needed. I have some furs for Daz Studio but they are DS shaders and do not work in Bryce. Now I have furs and all the other fantastic materials! Thank you for everyone involved in this set! I tried Blender but gave up after a while; it is only due to Horo’s and David’s tutorials that I am enjoying Bryce, a wonderful way to pass the golden years. Still hoping to see your beautiful Bryce renders one day. Horo- I was playing with Hdri lighting and I don’t have an additional light source in the scene. Maybe I’ll try Obscure Lighting for this one. Dave – All your Peter the Polar Bear renders are so cool. Dave Savage: What a very cute render! Bryce 7 Pro. Render Premium TA 36 rpp. Alex: Lovely landscape render again. Beautiful shadow(s) of the tree(s) to the right. Dave - Peter the Polar Bear is always cute. Slepalex - very nice landscape. Slepalex - wow another beautiful landscape. MAybe I shouldn't put this image here, as it's not mine, but was well impressed by this one on another site by an artist I follow. He uses Byce and Hexagon. Lighting is ideal! You would not think that this is Bryce. And it is only with Radial Lights in Bryce 5.5! yes, is why I decided to let those over here see it, I know that not many here do visit the other site. I have followed this guy for some time now. Just seen it over there, visiting daily twice, there are still quite a few using Bryce 5 and 5.5 and there are some excellent renders. Oh yeah, he's doing great things. Looks as if he used a self made 3D Fill Light. The way he described the 81 raidals floating around the space; it is the way we used to do it before the 3D Fill feature was officially implemented in Bryce 7. 3D Fills are extremely useful and realistic and this is an example of how the 3d Fill concept came about in the first place. His modeling and texturing are also top notch! Very impressive. Yup Rashad, with inverse gradient. Inverse gradient is the secret! Not surprisingly, a sufficiently high quality setting smooths out the light as well, but I don't recommend it. I've been reviewing the thousands of threads we've condcuted over the years. I've been looking over your website at the million tutorials and studies we've conducted over the years. As I prepare for this new thread I find I have nothing new to offer, but I'm hoping I'll find an efficient and effecive way of explaining it to people this time, so it becomes more a part of them. And I do want to give you a head's up, I expect to make several references to some of the products you and David and other's have placed into the store. Many of those resources are so valuable, I wonder if people fully realize the capacities these products unlock. Hopefully with more understanding, people will jump in deeper. Always fun. Rashad - thank you. Sharing is key, not that we always want to "copy" the idea (or even agree) but because it often inspires new ideas which can be shared and inspire yet other ideas. I do miss the community we had at bryce5.com. Chohole - thanks for sharing the render of Carlo Traversi, its absolutely stunning.